Take flight with this awesome vehicle and exclusive action figure! 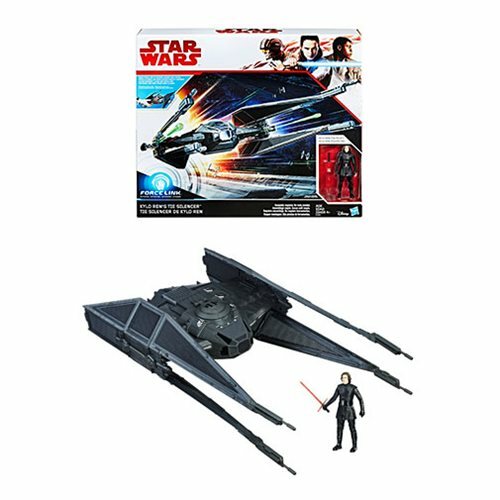 The Star Wars: The Last Jedi Kylo Ren's TIE Silencer Vehicle with Kylo Ren Action Figure features two firing rockets and a 3 3/4-inch scale Kylo Ren action figure with lightsaber. Vehicle can interact with the Force Link band (sold separately) to make cool noises straight from the films - and light up too! Vehicle measures 19-inches long when fully assembled.